Some day, if I am lucky enough to get marooned on a deserted island, all I am going to wish for is a coconut tree. Gilligan didn’t actually have to be rescued. He had all he needed; the Skipper, a movie star, a professor, but most importantly, palm trees with coconuts! Actually the tree alone would do. Think of it, you would have lovely shade, you could build a house with the wood, thatch your roof with the tree fronds, brush your teeth with the roots, drink the milk, eat the coconut meat, sleep on the palms, make utensils with the shell, moisturize with the oil and live happily ever after with this tree of life. Ah, it sounds divine especially now as we emerge blinky-eyed from the dark winter season. Coconuts are amazing and are revered with good cause, however, when I was in nutrition school, it was a whole different story. Way back in the olden days, we were told that coconut was so full of saturated fat that it was the worst food on the planet. (Well, back then they were also telling us that margarine was good for us, oh dear.) Science does evolve, and like eggs and butter, coconut is now back in high fashion. Coconut water is especially popular these days and you will find it to be a great hydrator when you are overheating on your deserted island. The coconut is classified as “cocos nuciferas” (coco meaning “monkey face” for the furry dark husk that resembles the skull of a monkey and nuciferas meaning nut-bearing). This very nutritious food is high in vitamins, fiber, potassium and minerals. It is considered a functional food, meaning it promotes good health and reduces the risk of disease. Important attributes of the coconut include that it is comprised of medium-chain fatty acids unlike long chains in most fats that are “bad-cholesterol” producers. It contains a lot of fat and calories but the fat that it contains is unique, powerfully healthy and healing. 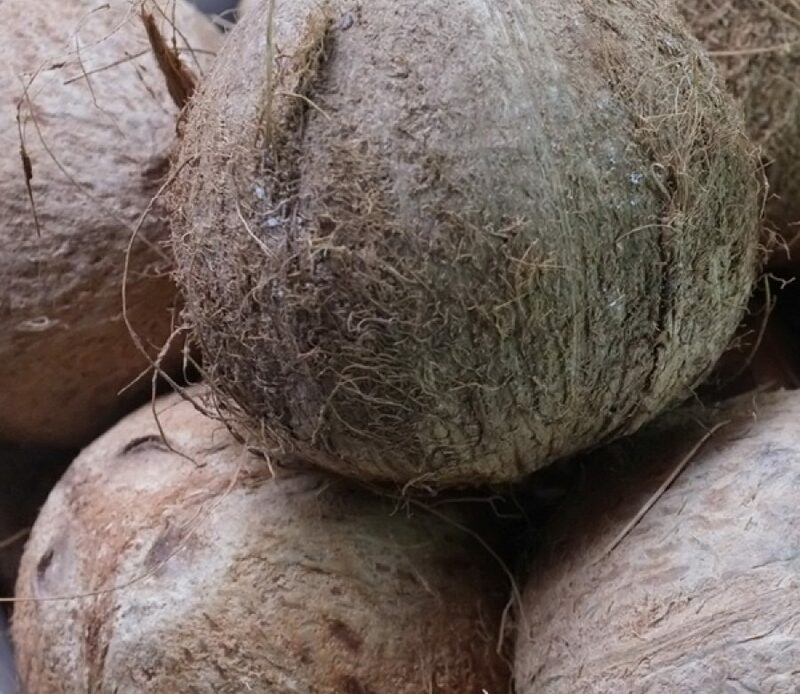 Coconut is very nutritious high in vitamins, fiber, potassium and minerals. And it is also considered an important medicine. Scientific research has confirmed that coconut actually reduces inflammation, is a terrific antioxidant, kills viruses, bacteria and fungus, helps to protect our bones and skin and so much more. For a fun list of uses, check out “99 Amazing Uses of Coconut Oil” by Doctor Oz. And for the best coconut-inspired paradise drink mix up Captain Chef Jeremy’s The Clear Colada cocktail and then lie back under your palm tree and enjoy. No rescue required.